Do you know of a nurse looking for a new career or due to retire soon? 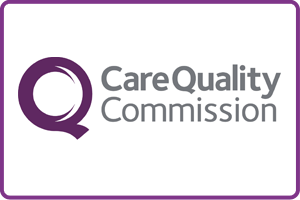 County Care Berkshire are recruiting for carers and those with a nursing background looking for a new career setting can be a great match for us. According to a recent study in Australia*, nurses are the least likely to leave their careers to start in an entirely different industry. In all likelihood, if they do leave nursing, they will stay in a career where they can continue to provide care in some way. For nurses in the UK, there are many vacancies on offer in the NHS at various levels. However, the working hours can be a reason that many leave after having a family or upon approaching retirement. A hospital environment might not suit everyone either, it’s a stressful role and for some it doesn’t provide as much opportunity for helping people as care work does. Nursing is a vocation and as such, the desire to provide care is the overriding reason to choose the profession. However, if the environment in a hospital doesn’t suit, caring in a home environment can offer a very enjoyable alternative. For nurses approaching retirement, care work can provide a flexible base from which to reduce their working hours. It’s a slower pace, more of a personal relationship with patients and a broader overview of their life. “Providing the essential nursing care and treatment to patients means that an ex-nurse can still feel connected to their passion for helping people. Community-based nursing or a care role can be extremely rewarding. You get to know your patients on their turf – you are in their home and get a feel for their lifestyle and support network, friends and family. Also for the potential dangers or conditions that might affect them. The care you provide has a big impact on your patients and their families. It has been the start to many life-long friendships,” says Charlotte Evans, Director of Care Services at County Care Berkshire. Student nurses find care work an attractive proposition for earning while studying. It’s a flexible job with working hours to suit. Work experience with a care agency also provides a good variety of interesting patients. 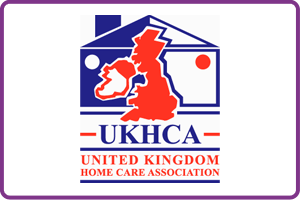 A carer could be working with adults and children with complex disabilities, patients with life-limiting illnesses, and older people who are struggling to look after themselves and just need a bit of help and company. It’s a one-to-one role, allowing time to get to know a patient rather than struggling with patient to staff ratios. Depending on how far you would have to commute to a hospital for shifts, care work is usually close by. 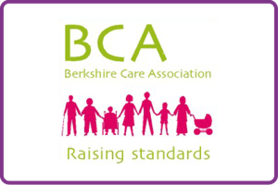 At County Care Berkshire we have carers who work around their families for example a spouse may work days starting early in order to be home by 5pm, at which point they switch and the carer goes out to work from 6-11pm. We can offer days only, nights only or weekend shifts to suit you. You’ll be working as part of a small, friendly team who support each other. We have office-based staff who manage the placements and are on hand to resolve issues if you are running late at an appointment, need background information or support for a problem. If you know a student nurse looking for part time work, a nurse who is considering a different way of working looking for a shorter working week on the approach to retirement, we’d love an introduction. To find out more about becoming a carer, we have a drop in session every Friday afternoon 2-4pm and you can come and speak to a member of staff. We’re always ready to chat about career prospects by phone or drop us an email.